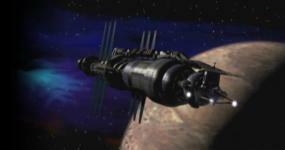 View Poll Results: Who are your favorite Babylon 5 characters (try to limit to 5 choices)? The Tuning Into Sci-Fi TV podcast is doing another countdown. This one is for best genre characters of all time. There will probably be a lot of votes there for fantasy characters, Farscape characters, and Joss Whedonverse characters, but I definitely plan to vote for several Babylon 5 characters. So, who are your favorite characters from Babylon 5 (or Crusade or Legend of the Rangers)? If you want to vote on the new TIST countdown and maybe give a little support to B5 characters, click here for the ballot page. Click here for the initial discussion thread about the countdown. November 30 is the last day for voting, and you can also send TIST some voicemail or voice recordings talking about your favorite characters, and they may use some of that audio on the actual countdown podcasts. My all-time favorite character, of any medium, of any genre, is G'Kar. A close 2nd would be Londo Mollari. I haven't submitted my ballot for the TIST countdown yet, but I'm positive G'Kar and Londo will be in my #1 and #2 slots. If you'd like to hear what installments of TIST's first two countdowns were like, Top 100 Genre Shows of All Time (in which B5 came in #10) and Top 50 Genre Themes of All Time (in which B5 came in #8), they are archived here. Last edited by Ninja_Squirrel; November 10th 11 at 12:02. The Tuning Into Sci-Fi TV podcast released episode 1 of their Top Genre Characters of All Time Countdown last night. It includes characters ranked 100 to 91. A Babylon 5 character was #99. That character was #15 on my ballot of 20 slots. I voted for nine Babylon 5 characters, including my number 8, 5, 2, and 1 slots. So, I'd like to think there are other B5 characters coming in future episodes of the countdown. You can download episode 1 of the countdown on iTunes or listen to it online here. The discussion thread for episode 1 is here. No love for Galen? Surely, he deserves his own option. So does Sinclair, Kosh, Marcus, and loads of other characters. Don't get my personality and my attitude twisted - because my personality is me and my attitude depends upon you. I'm afraid polls are limited to 10 slots only. The three primary humans and three primary aliens were the best I could do for separate choices. In order to include everyone, I had to lump the support, guest, recurring, and spinoff characters into categories for the four remaining spots. Episode 2 of the Top Genre Characters Countdown came out a few days ago for ranks 90 to 81. Another Babylon 5 character was included in those 10. You can listen to the episode here or check out the forum discussion for it here. Episode 3 of the Top Genre Characters Countdown came out last night for ranks 80 to 71. Yet another Babylon 5 character was included in those 10. This one was a recurring character and not one of the eight B5 characters I had on my own ballot. So, that's a good sign that other people voted for B5 characters too and took into consideration more than just the main cast. Also, Babylon 5 is the only show to be represented by characters in all three episodes of the countdown so far. There have been two Deep Space Nine characters, two Buffy/Angel characters, two Doctor Who characters (sort of a third by way of Torchwood, but that was in the same episode as a DW character), two Supernatural characters, two DC comics TV characters, and a lot of one-offs. B5 is doing well. You can get the episode from iTunes or listen to the episode here. Check out the forum discussion for it here. Rewatching S1 and S2 again, I'm also gaining more appreciation for Talia--too bad she didn't stay on. Delenn was also a good character, but to me not as intriguing as Londo, G'Kar, or the enigmatic Kosh--but she definitely embodied "the conscience" of the show. Vir was also someone I liked for things he did, but I couldn't completely get rid of the "cartoonish" impression I first had of him (although some of that impression did wear off). Would be interesting to see what type of emperor he'd make. And one reason (out of many) they need to make a Teep War movie/series/book--while most of the characters have a moral arc that improves toward the end, where we see them slowly redeem themselves, Lennier has a fairly stellar moral arc that takes a huge plummet near the end, and we only hear second-hand about his eventual redemption. People like me who liked Lennier would like to see what he actually did to make good again, and supposedly this occurred in his actions in the Telepath War. Among Crusade characters, my two faves would be Galen and Gideon. Too bad we don't get to know the latter as well in any other canon material (other than the circumstances of how Galen first found him, in the Technomage Trilogy). I also really got to like Elric in the Technomage Trilogy. Last edited by Alioth; May 16th 12 at 11:46.